(PEBBLE BEACH, Calif.) Youth on Course – the non-profit organization providing young people with subsidized golf, college scholarships, paid internships and a caddie program – continues remarkable growth with significant increases to its junior golf program in 2018. National membership grew by 55 percent and 374 new courses were added to the organization’s impressive roster totaling 992 courses across 26 states. Fueling the golf economy, nearly 150,000 rounds of golf were played for $5 or less and $985,000 were reimbursed back to golf courses. To date, 765,390 rounds have been subsidized and Youth on Course has reimbursed $5.2 million dollars back to partner courses. Eight additional state associations added throughout the year include Golf Association of Philadelphia, Junior Golf Alliance of Colorado, Iowa Golf Association, Maryland State Golf Association, Metropolitan Amateur Golf Association, North Dakota Golf Association, Rochester District Golf Association, South Dakota Golf Association. 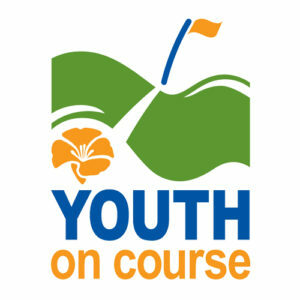 To properly service and support partner associations, Youth on Course has expanded internal staff, promoting Jeff Clark to Chief Development Officer and Michael Lowe to Vice President of Programs. In addition to subsidized rounds, Youth on Course also facilitates paid internships, a caddie program and nationwide scholarships. They have awarded 223 students with college scholarships totaling more than $1.4 million in financial support. The current Youth on Course scholarship retention rate is ninety-eight percent, with 53 students already graduated. To read more of this 2019 press release from The Morning Read, click here.